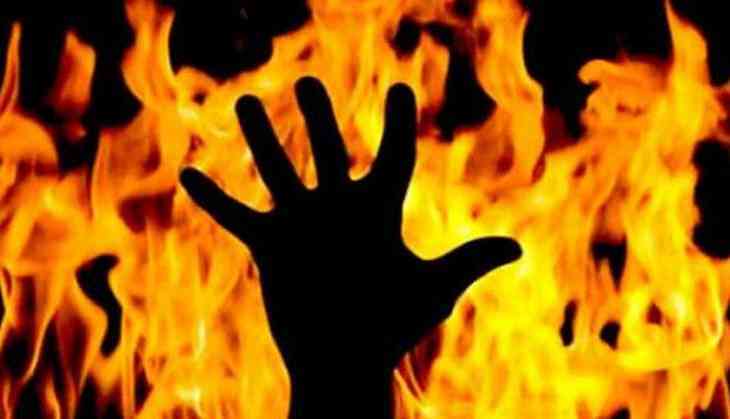 Three people were burned to death and 25 others injured in a fire which engulfed 30 villages in and around Madhya Pradesh's Hoshangabad district after it was fanned by a sudden gust of wind, police said Saturday. The fire, which began on Friday evening, was put out on Saturday morning, by which time it had caused deaths and injuries and damaged crops over several acres, an official said. "Stubble was being burnt in some fields at around 7:30pm on Friday. The fire spread due to a gust of wind and soon engulfed 30 villages. Twenty-four fire tenders from different places were deployed to put out the blaze. Wheat has been destroyed over several acres," said Inspector Ashish Singh Pawar of Kotwali police station. "Dilip Choura (28), Amit Choura (32) and Shyam Choura (age not known) of Panjarakala area were charred to death. Twenty-five people have received burn injuries, and the condition of one of them is serious. He has been admitted to a hospital in neighbouring Bhopal," Inspector Singh added. The administration has announced financial help of Rs. 4 lakh to the family of the deceased, Rs. two lakh to the seriously injured, and Rs. 59,000 to others who are injured, officials said. "The fire has destroyed crops in Badodiyakala, Nimsaria and Panjrakalan villages of the district. A loss assessment exercise has been undertaken to fix compensation," officials said.